THERE HAVE been few title reigns like the one Eusebio Pedroza had. When he captured the WBA featherweight title in 1978, he held onto the crown for seven years and two months, including a division-record 19 successful title defenses. Born in Panama City, Panama, Pedroza stood 5-9 and was considered tall for a featherweight. 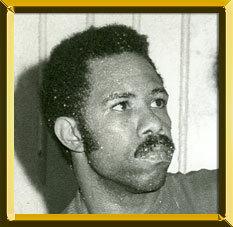 He turned pro in 1973 and fought exclusively in Panama City until he journeyed to Mexico to challeng Alfonso Zamora for the world bantamweight crown in 1976. It was only Pedroza's 16th pro fight and Zamora retained his title with a second-round knockout. Pedroza, a hard puncher and aggressive boxer, returned to the friendly confines of home. On April 15, 1978, fighting back in Panama City, Pedroza knocked out Cecilio Lastra in the 13th round to win the WBA featherweight title. A legend was truly born. Several of the opponents Pedroza retained his title against were former or future world champions. Among them are: Hall of Famer Ruben Olivares (KO 12), Royal Kobashi (KO 13), Jorge Lujan (W 15), Rocky Lockridge (two decisions) and Juan LaPorte (W 15). Pedroza's title reign came to an end on June 8, 1985 when he lost a unanimous decision to Ireland's Barry McGuigan. Pedroza was compensated with a then division-record $1-million purse. Aside from his longevity, two other characteristics mark Pedroza's storied career. He was a fantastic late-rounds fighter and at times was known as a dirty fighter. Particularly controversial was his win over LaPorte, during which the challenger complained of repeated low blows.